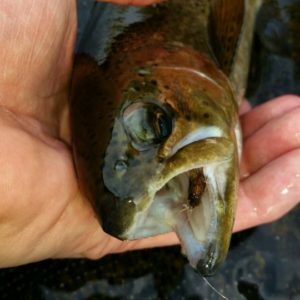 I figured I’d contribute my first blog post with something short and sweet that’s currently relevant on my home river. If you’ve fished it or looked at the gauges, you will see that the Farmington is currently flowing around 60-70 cfs, which is what the state considers a natural flow. We all would like to fish in ideal conditions with plenty of water, but, as you all know, we have to take what we are given. In this post, I’d like to share with everyone what I’ve been doing recently to adapt to the conditions and stay productive. Most who know me immediately think “nympher.” For the most part, they would be right. I love to catch fish and I’ve found nymphing to be the most productive method of fishing…most of the time. I could talk about nymphing in low water, but, lately, that isn’t what I’ve been doing. Lately, I’ve been going to the dark side and fishing dries. 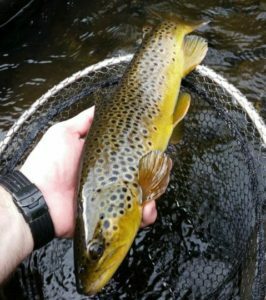 The thing is, I’m pretty sure I’ve been more productive fishing dries recently than I could be nymphing. When the water is low, fish will push up into the broken water to seek shelter, oxygen and, of course, food. My approach in this low water has been similar to the way I nymph. I cover lots of water. 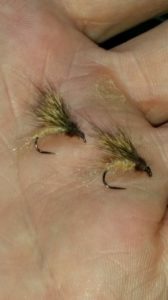 I’ve been fishing a #14 tan caddis but I’m sure other patterns would work as well. I target the heads of pools, in riffles, seams and pockets. I pretty much just drift my flies over any and all water I think could hold a fish. 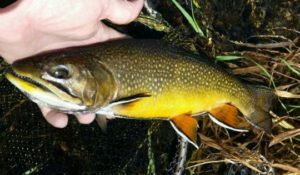 So, if you are headed to the river and the water is low, give these tactics a shot. You might be surprised how effective they can be. Tight lines until next time! Good to hear you are back again. Last two times nymphing up there were not really productive either. Even in the fastest water I could find. Tried small #20 -#22 midges and nymphs. I’ll give your strategy a go this week. Andy is crazy-smart about so many things!